Nashville has always taken the lead when it comes to holiday music. Today’s stack of platters includes Yule offerings from some of Nashville’s biggest country stars. But it is the city’s CCM community that comes away with top honors. TobyMac wins the Disc of the Day. Hannah Kerr earns the DisCovery Award. – The track sounds like crystalline falling snow. Her winsome vocal exudes warmth and sincerity. The super melodic song is a jewel. This lady’s holiday four-song EP is essential. – These sisters from British Columbia accompany themselves on fiddle and guitar, which forms the basis of their gentle acoustic sound. They also harmonize beautifully on this ultra-romantic song. Very pretty. The album is called A Twin Kennedy Christmas. – Naturally, Nashville’s CCM world embraces this season enthusiastically. This veteran of the genre kicks off his Light of Christmas CD with this jaunty pop rocker. The pulsing production is as irresistible as his tenor vocal. Highly recommended. – This pert soprano’s six-song holiday offering is titled It Must Be Christmas. Its single is a slow, sweetly romantic ballad about waking up to a special smooch on Christmas morning. Languid and lulling. 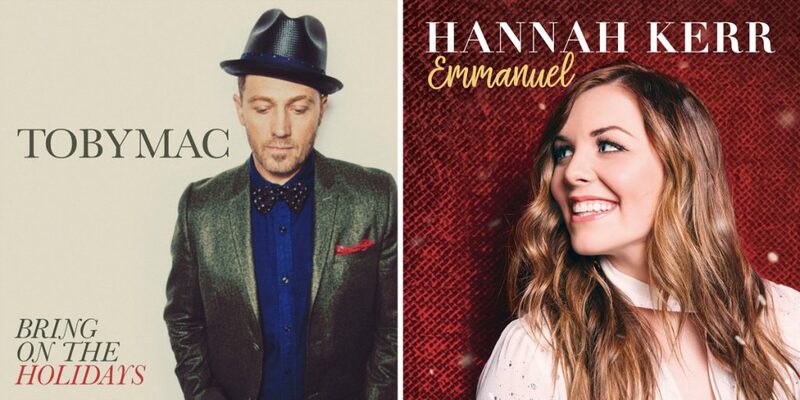 – Leave it to these three stellar vocalists to turn this most familiar of Christmas standards into an enchanting new audio experience. Kelly leads off, followed by Trisha with Reba taking the third verse. Throughout, the three voices echo softly in harmony in the background. Hang on for the trio-harmonized a cappella finale. It will stop you in your tracks. You’ll find it on Reba’s CD My Kind of Christmas, which also contains collaborations with Darius Rucker, Lauren Daigle and Vince & Amy. -The bluegrass genre’s holiday entry, It’s Christmas Time, comes from this 10-time IBMA awarded band. The group’s trademark, flawless, hearty harmonies and deft picking are paired with The Nashville Recording Orchestra. The mixture of banjo and fiddle with lush, soaring strings is an unexpected delight. Well worth your spins. Writers: none listed; Producers: none listed; Publisher: none listed; Warner Bros.
-His heartbroken lead vocal on this downbeat waltz is dandy. He remains such a superb country singer. The track is marred by the presence of a kiddie chorus. – This honky tonker’s revival of Alabama’s 1983 holiday classic is a welcome reminder of what a cool song it is. Winning and warm. – His accent just feels out of place on this loveliest of Christmas melodies. To his credit, he does take the octave-leap finale in stride. – This is the title tune of a six-song EP that introduces Black River’s first entry into the CCM field. Her soft, airy delivery gives the lilting ballad extraordinary intimacy and presence, particularly when her co-writers add their lovely, lacy harmony voices. I was hanging on every phrase, mesmerized.